For more information on how your HIV/AIDS organization or program can qualify to be a future Beneficiary of Florida AIDS Walk, please email info@floridaaidswalk.org. AIDS Healthcare Foundation (AHF), is a non-profit, global organization providing services to over 877,000 people in 41 countries. As the largest provider of HIV/AIDS medical care in the United States, and a truly independent voice in the mission to rid the world of AIDS, AHF’s operating capital comes from its own self-created social enterprises. AHF Pharmacies, thrift stores, healthcare contracts and other strategic partnerships generate funding that helps AHF provide medical and advocacy services across the globe, reaching and treating patients regardless of their ability to pay. AHF is currently leading a mass testing initiative to identify and treat the 25 million people who don’t know they are infected. By advocating big goals – aiming to see an unprecedented 1 billion people tested each year – AHF hopes to eliminate older, more time-consuming methods of HIV testing and treatment. 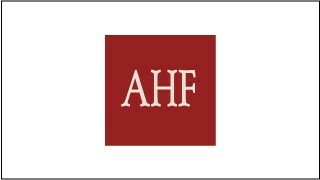 Since 1987, AHF has cared for thousands of people living with HIV and AIDS worldwide. As they create and implement unparalleled programs in new communities in the U.S. and abroad, AHF expands delivery of healthcare and influence over policy with the sole aim of saving more lives. 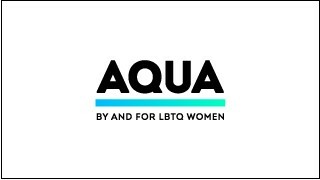 The mission of the Aqua Foundation for Women is to serve and support the lesbian, bisexual, and transgender community in South Florida through grants, scholarships, and initiatives. The Foundation awards grants to local organizations addressing LBTQ interests, including equality, wellness, leadership, transgender issues and LGBTQ youth homelessness. The Foundation is also dedicated to supporting secondary education, mentoring programs, building community, cultural enrichment, leadership growth, community service, and civic interests. 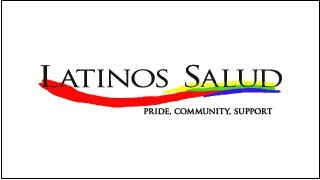 For nine years, Latinos Salud has provided colorful and sensitive outreach to South Florida’s gay Latinos, to all persons living with HIV, and to everyone who identifies as transgender. Operating three full-time locations in Broward and Miami-Dade, our 30 staff provide free walk-in HIV and STD screening, linkage-to-care, one-on-one life coaching, support groups, youth programs, and peer leadership development. In 2017, we added Ryan White case management services. Latinos Salud’s diverse staff hail from Chile, Costa Rica, Cuba, the Dominican Republic, Ecuador, Guyana, Mexico, Peru, Puerto Rico, Spain, and Venezuela. Most are themselves immigrants to the mainland U.S., and have now created a welcoming home for all who enter our doors. With our targeted services and cultural competence, Latinos Salud brings into care the clients who would not otherwise feel comfortable accessing a clinic, identifying a new HIV infection every 60th test. Latinos Salud staff personally accompany members to their first medical appointments—providing translation, offering moral support—and then stay with them to coach them through the process of sticking faithfully to their regimen for longer life. The CDC reports that new HIV infection rates are finally dropping for all demographic groups—except for Latinos and gay men. Locally, gay Latinos live only half as long as their non-minority peers. But together, we will knock down the barriers that are causing too many gay Latinos to miss out on vital HIV prevention information, and timely life-saving care. We can stop HIV in South Florida! In Florida, 135,986 people are estimated to be living with HIV, including 15.6% who don’t even know they are infected, and so aren’t receiving any treatment. Florida is disproportionately affected, and while progress has been made, the rate of new HIV diagnosis in Broward County is on the rise with 770 people newly diagnosed last year. 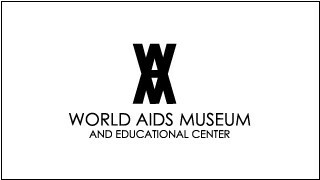 We won’t stop this fight until AIDS is a thing of the past! To truly make a difference, we need caring people like you to sponsor our participation in the walk. Did you know we served 3000 people with HIV last year? Or that 86.1% of our participants had a controlled viral load, meaning they cannot spread the virus? That rate is better than the national average of 49% and better than any other provider of food or medical services in the Ryan White Care System in Broward County. 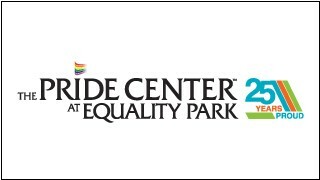 The Pride Center at Equality Park celebrates 25 years of service in 2018. Our mission is: “We provide a welcoming, safe space–an inclusive home–that celebrates, nurtures and empowers the LGBTQ communities and our friends and neighbors in South Florida.” The Pride Center meets the distinct health, social, educational, socio-economic and safety needs for the LGBTQ community and our allies. Last year, more than 45,000 adult and youth attended activities at The Center. The Center hosts more than 60 regularly-meeting groups each month. Support, social and educational groups focus on seniors, youth, women, men, transgender individuals, recovery, health, the arts, athletics, spirituality, games and more. Outreach activities over the past year directly impacted over 150,000 residents and visitors to South Florida. Pridelines is a grassroots 501(c)(3) nonprofit organization. 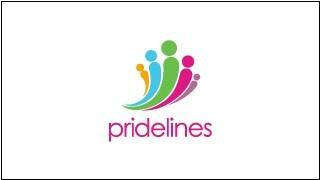 Since 1982, Pridelines has been supporting, educating and empowering South Florida’s lesbian, gay, bisexual, transgender and questioning (LGBTQ) youth and the community at large in safe and diverse environments through affirming programs and services to promote dialogue, wellness and foster social change. 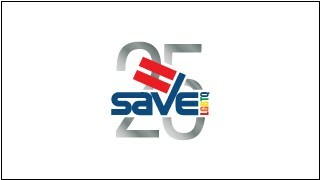 SAVE Foundation’s mission is to promote, protect and defend equality for people who are lesbian, gay, bisexual and transgender. Established in 1993, SAVE Foundation accomplishes this mission through education initiatives, outreach, grassroots organizing, and advocacy. Starting with the landmark passage of Miami's Human Rights Ordinance in 1998 to the recent litigation spearheaded by SAVE Foundation which resulted in marriage equality in Florida in January 2015. In 2018 SAVE Foundation continues to focus on the importance of nondiscrimination protections for all Floridians, including the transgender and gender nonconforming community. To this end, SAVE Foundation has implemented a cutting-edge outreach program which has been empirically proven to reduce prejudice against transgender and gender nonconforming Floridians by making one-on-one contacts with members of the community at large. We also continue our GSA initiative, started in 2014, to help provide seed funding and operational support for Gay-Straight Alliances at inner city schools that do not adequately serve the needs of LGBTQ students. SAVE Foundation also has developed a Business Equality Network designed to bring together business who believe that equality is good for business and that LGBTQ Floridians deserve the same workplace rights as everyone else. SAVE Foundation continues to lead the fight for LGBT equality through grassroots action, political advocacy, and community outreach. 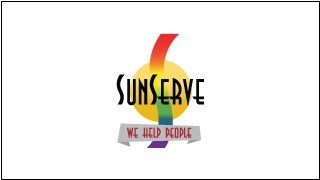 Founded in 2002 as the first social service agency to serve the LGBTQ population of South Florida, SunServe has been a pioneer and innovator in proactively developing cutting edge programs to improve the health, well-being and quality of life of community members. In serving the second highest concentration of LGBTQ residents per capita in the U.S., SunServe works with individuals of all ages to ensure that LGBTQ individuals have access to quality health care and health resources, affordable housing, HIV case management and mental health services. SunServe's places particular emphasis on serving those who are disenfranchised, disadvantaged and marginalized, with areas of expertise in working with youth, seniors, women, transgender clients and clients with HIV. Since its inception, SunServe has adopted a two-pronged approach to addressing HIV/AIDS that closely mirrors the work of the AIDS Healthcare Foundation—SunServe has been at the forefront of providing advocacy and education to prevent infection in South Florida, while compassionately providing wraparound services to people living with HIV to enable and empower them to enjoy a high quality of life. Funding from the Florida AIDS Walk and Music Festival allows SunServe to provide hundreds of hours of culturally relevant and sensitive counseling each month to people living with HIV/AIDS with clinicians who have considerable experience in serving clients living with HIV. Additionally, funds allow SunServe to provide case management, including Project AIDS Care (PAC) Case Management, Housing Case Management, and Substance Abuse/Mental Health Case Management for PLWHA. 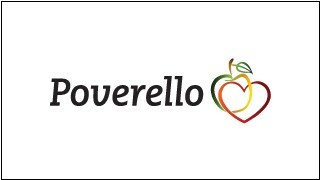 Funds also allow SunServe to educate and provide resources for all youth involved in our programming regarding testing and services for HIV. The Urban League of Broward County is a not for profit organization founded to empower communities and change lives. Our mission is to secure economic self-reliance, parity, power and civil rights. Our “Breaking the Cycle” programs uplift more than 11,000 people every year through affordable housing initiatives, health education and wellness, youth development, and diversion, employment and training, community empowerment, and civic engagement. 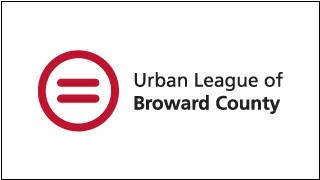 Learn more about the Urban League of Broward County by visiting www.ulbroward.org.